Who Doesn't Love A Great County Fair? I'm a sucker for fairs. I love the fair food; I love the people watching; for not being much of a shopper I love wandering around and checking out what all of the vendors have to offer; I love the expo building and all things advertisement in there; I love checking out the submissions whether it is crops, flowers, photography, art, animals or whatever it may be. I just think the fair is fun. I don't do the rides, but I love walking around and just experiencing it. This year my daughter will be submitting a scrapbook for her Cloverbuds 4-H project. Concerts include Marshal Tucker Band, Sammy Kershaw & Old Dominion. Canyon County is a huge agricultural area so don't miss the animals inside and out as well as the sales and auctions. Of course there are rides, food, vendors, games, activities and scheduled events. For a full list of all the fun and a schedule of events check out the Canyon County Fair website here. This is the biggest fair in Idaho and is a must if you enjoy fairs. They have everything from an amazing carnival to vendors galore. Don't miss all the delicious fair food including Pronto Pups, elephant ears, snow cones, corn on the cob and so much more. The concert line up has some big names including Scott McCreery, Huey Lewis & the News, Joan Jett & The Blackhearts & Trace Adkins. Don't miss any of the other entertainment - check it all out here. For a full list of all the fun and a schedule of events check out the Western Idaho Fair website here. 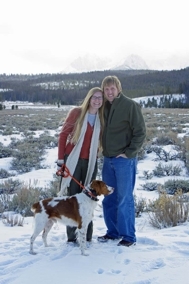 Boise, Idaho REALTORS® John & Kasey Boles and our team of agents at Jon Gosche Real Estate help buyers and sellers throughout the Treasure Valley. We specialize in Boise, Meridian, Eagle, Kuna, Star, Garden City, Nampa, Caldwell, Middleton, Emmett & Idaho City. 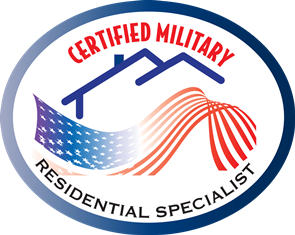 We service all Ada and Canyon County neighborhoods as well as portions of Gem, Owyhee & East Boise Counties. If you are looking to buyer or sell in any of these areas we'd be happy to help. Boise, ID Events: 3 FUN Events, 1 location, 1 day Saturday, May 2nd!